About - CASA: A Voice for Children, Inc.
Court Appointed Special Advocates are trained community volunteers appointed by the Judge to speak for the best interests of children who are brought before the court for reasons of abuse or neglect. A Court Appointed Special Advocate (CASA) is an official part of judicial proceedings, working alongside attorneys and social workers. By handling only one or two cases at a time the CASA has time to thoroughly explore the history of each assigned case. The volunteer talks with the child, parents, family members, neighbors, school officials, doctors and others involved in the child’s background who might have facts about the case. The volunteer reviews all court facts about the case and also reviews all court documents pertaining to the case. He or she is then expected to submit formal reports to the Judge at every scheduled hearing. The CASA continues to monitor the case to assure that the judicial and child welfare systems are moving ahead to secure a safe, permanent home for the child, and that court-ordered services are provided to the child and family. The CASA can be an invaluable resource for the court and for the child in reaching their goals for permanency. A Citizen Review Board (CRB) is composed of trained community volunteers who serve as advisors to the judge on selected cases concerning children who are in out-of-home placements. The CRB assesses proposed case plans and progress toward the goals established by the case plan. Simply stated, the purpose of a CRB’s case review is to assure that children do not linger unnecessarily in foster care and to promote a permanent and safe home for each child reviewed. CRBs in Kansas are administered by local district courts and are developed on a district-by-district basis. Administration by a local court means that the local administrative judge or designee is responsible for appointing citizens to serve on each local review board, as well as being responsible for the referral of cases to the board. Support services for the board may come from court personnel. Each local board consists of three to seven citizens. An effort is made to see that the board represents the various economic and ethnic groups in its community. Each volunteer is appointed for a two-year term. Members may be reappointed. Board members and their alternates receive a minimum of twelve hours training prior to assignment to review cases. Boards must meet at least quarterly, may meet monthly if the number of cases warrants it. In order to review a case, there must be at least three members of a board present. 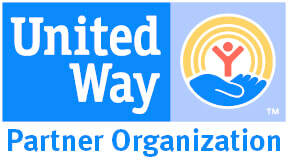 This agency is a proud recipient of Harvey County United Way and United Way of McPherson County.